More than one-third of Americans are obese. 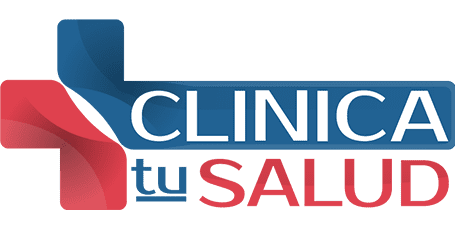 At Clinica tu Salud in Irving, Texas, Dr. Jaxel Lopez-Sepulveda knows that obesity and excess weight come with increased risks of health complications. Dr. Lopez-Sepulveda offers an innovative weight-loss program and works with men, women, and children to reduce their risks, enhance their health, and help them lose the weight safely with appropriate medical management. Learn more about this effective weight-loss program; click to use the online scheduler or call the office today. What are the health complications associated with obesity? Excess body weight puts more stress and pressure on your bones, organs, and muscles. Medical weight loss involves the support of a trained medical professional. Through regular checkups with Dr. Lopez-Sepulveda, he is able to monitor your health and help you lose weight as safely and efficiently as possible. Dr. Lopez-Sepulveda analyzes your health and medical and family history to create a customized treatment plan. Certain genetic and environmental factors can influence weight loss or weight gain. Dr. Lopez-Sepulveda considers all aspects of your health and evaluates the best way to help you lose the weight and maintain a healthy weight in the future. Nutrition is an integral part of your medical weight-loss program. It’s important to eat the right nutrient-dense foods that fuel and energize your body and deliver the right messages to your genes. Healthy, nutritious foods can signal the right hormonal, chemical, and metabolic response to set the stage for weight loss and better health. What medical conditions might affect weight loss? A number of medical conditions can affect weight loss, such as irritable bowel syndrome and arthritis. People who are in chronic pain might find it more difficult to exercise regularly and need modified exercise programs. Dr. Lopez-Sepulveda works with each individual patient and caters each program to suit their needs and goals. Certain gastrointestinal disorders, such as irritable bowel syndrome, affect how your digestive system functions, often involving symptoms like pain, constipation, and fatigue that can make it more difficult to lose weight. Some people with chronic conditions like irritable bowel syndrome or a thyroid disorder can lose or gain weight rapidly, requiring more specialized care. It’s important that you continue to eat a healthy diet and exercise regularly for the betterment of your health and to maintain your weight loss after your program is complete. Dr. Lopez-Sepulveda can help you identify the best sources of food for your body and maintain a healthy weight. Call or schedule an appointment online today to start your medical weight-loss program.